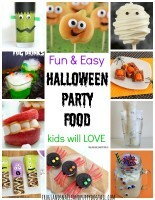 We love holiday inspired kid activities. With Halloween coming up, the kids and I have gotten the Halloween boxes out for playtime! 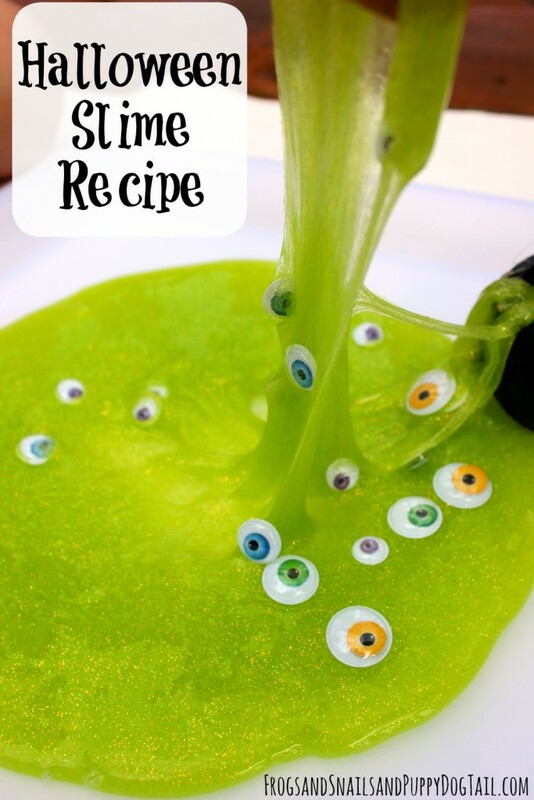 The kids have not had slime to play with in a while so I made some Halloween slime for an afternoon play activity for them. Even though this can be messy it was worth the fun. 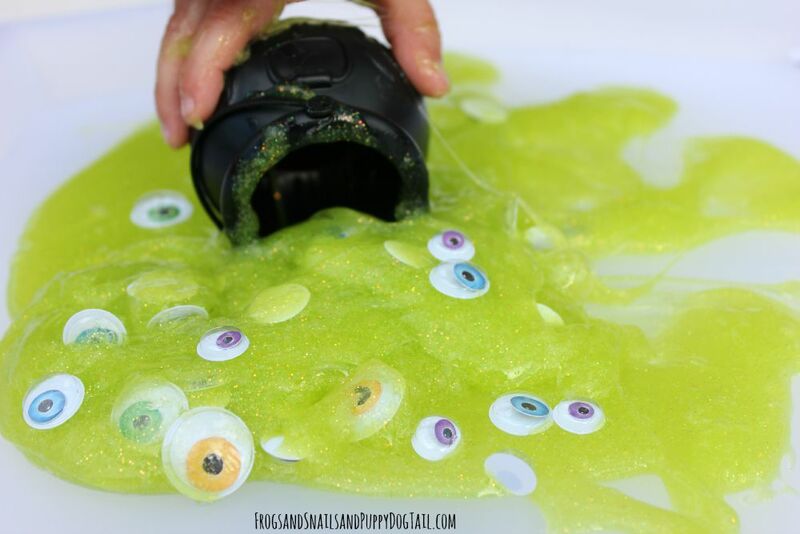 This Halloween slime recipe is easy to make and lasts for a few months. We look forward to getting it out to play with again. 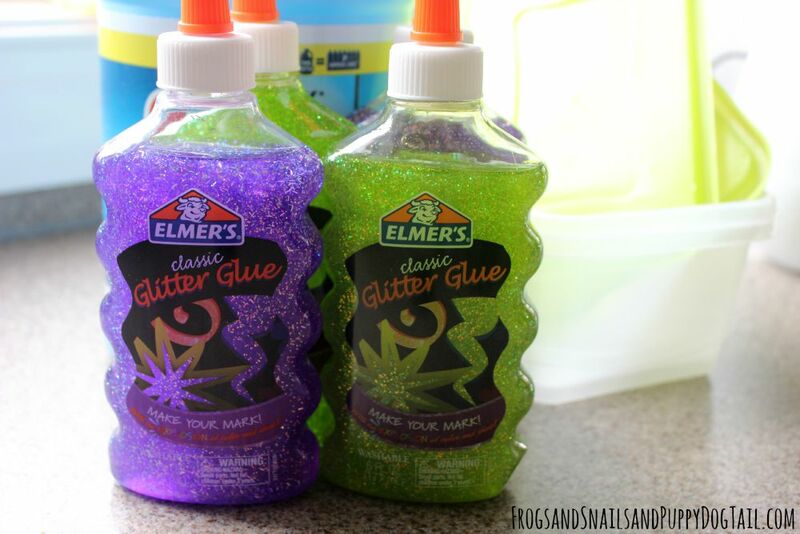 I put 2 bottles of glue in a bowl. Next I started with 1 cup of liquid starch. I added the liquid starch and mixed with a spoon to start. I then went to mixing with my hands. I kept adding the liquid starch until the texture was firm but stretchy. Hope that makes sense. 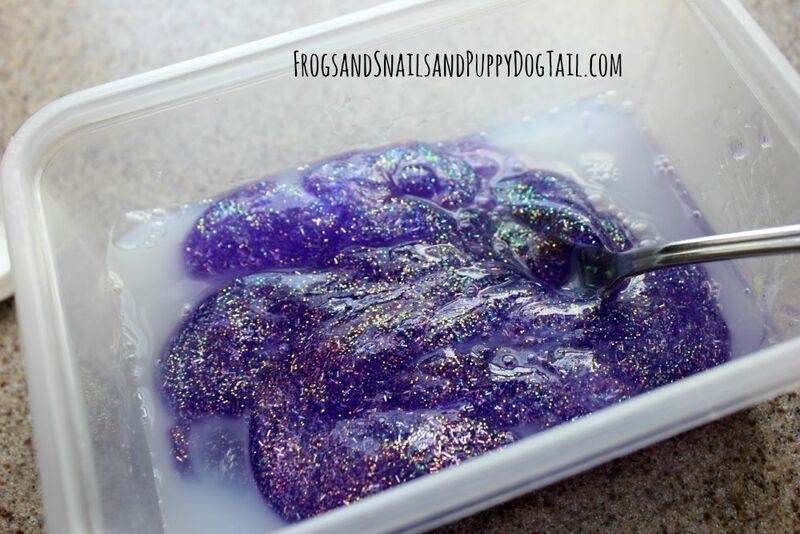 I did this for both the green slime and purple slime I made. To store, I leave in a rubbermaid bowl in the fridge. When the kids got home it was time to play. 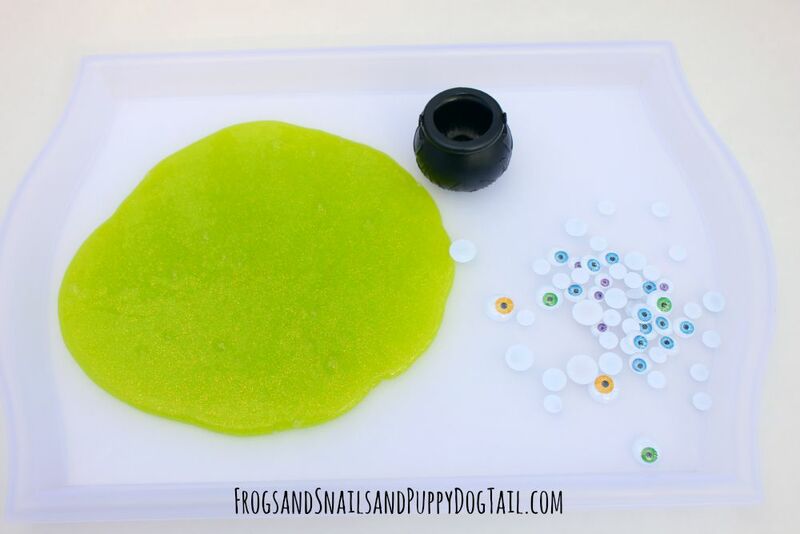 I got 2 trays out and put one slime on each tray. One tray I added googly eyes and the other I added flies. 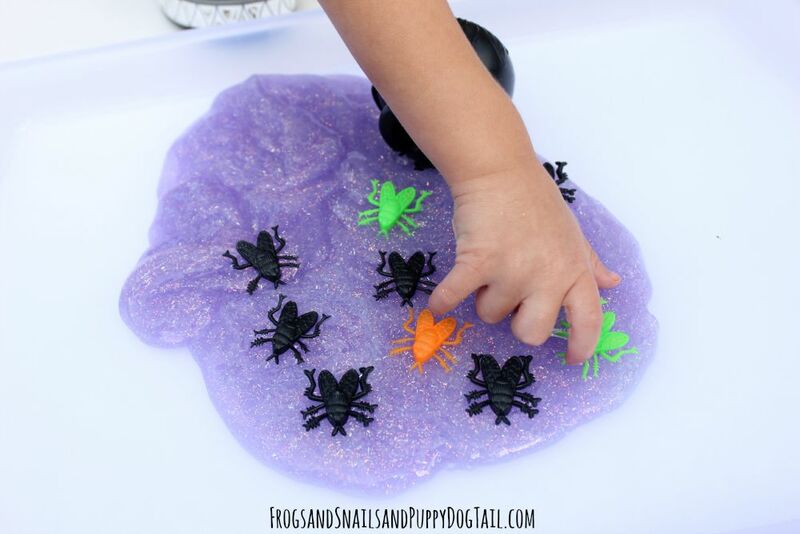 All 3 of my kids got to play with this simple Halloween sensory activity. I think the googly eyes were the favorite. But they had fun playing with both slime trays. 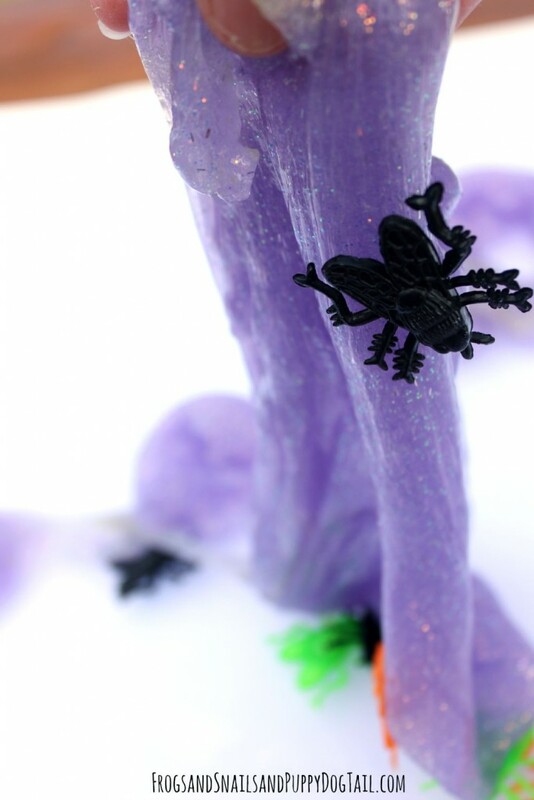 The kids loved the slimy feel of the slime. It can get messy. The kids got slime on the porch and then stepped in it. They had it on their shoes and clothes. The clothes came clean in the washer. I took warm water and washed their shoes. They had crocs on so it was easy to clean off. Once playtime was over, we put the slime back in the plastic containers and stored in the fridge. 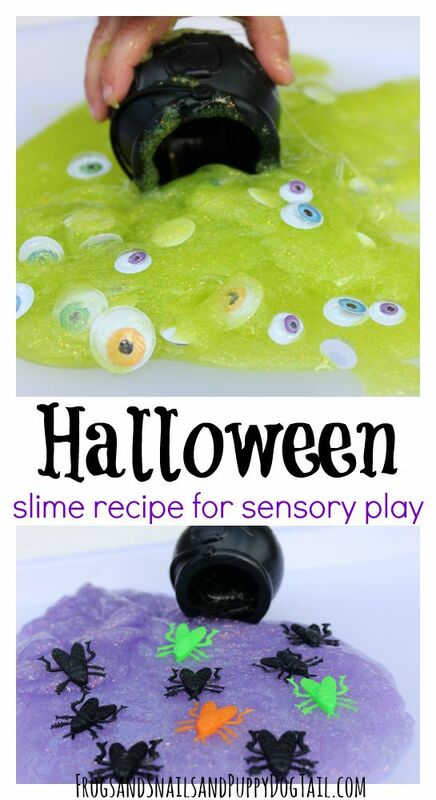 The kids had a fun afternoon of sensory play with their Halloween slime. We look forward to playing with it again soon.